I paid a visit to my friends down at CBC Vancouver, specifically the folks at Radio 3 and Ash Mishra who developed the CBC iOS apps. Now usually you might not think a radio app would be terribly interesting. Myself, I’ve just been using the CBC Radio app since I got my iPad and it was one of the first apps I put on my iPhone. The main reason is that I like listening to the CBC and I don’t always have a radio handy. It was really awesome to get the inside scoop on the iOS app from Ash, but I broke our chat into two parts because what he showed me at the end of the interview was just so cool that I didn’t want it to get lost. 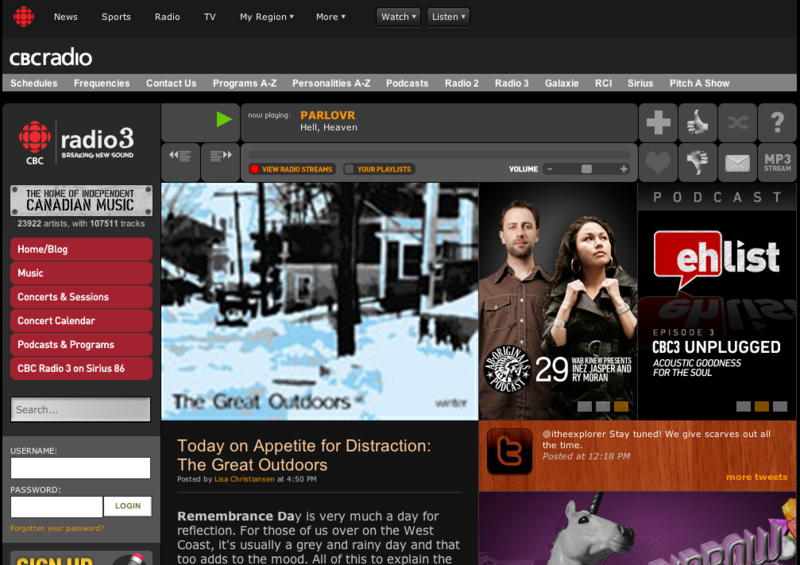 First a little background, CBC Radio 3 is a completely virtual radio station. It doesn’t occupy space on the “dial” but rather space on the Net. Radio 3 comes to you from the basement of CBC Vancouver and its mission is to highlight Canadian artists who are a little off the mainstream. Now, if this weren’t cool and interesting enough, it’s how Radio 3 gets their music that is rather amazing. Instead of just getting tons of CDs in the mail, artists upload their own songs to Radio 3 so the songs can be played and shared online. Cool, you say, but so what? The so what is that if you go to the CBC Radio 3 website you can look for artists and genres you like, and tap into the over 100,000 songs in the library and play any of them you want. Want to make your own playlist of great music? Not a problem, go right ahead and do it (you need to sign up for a free account to save playlists). What does this have to do with the iOS app? 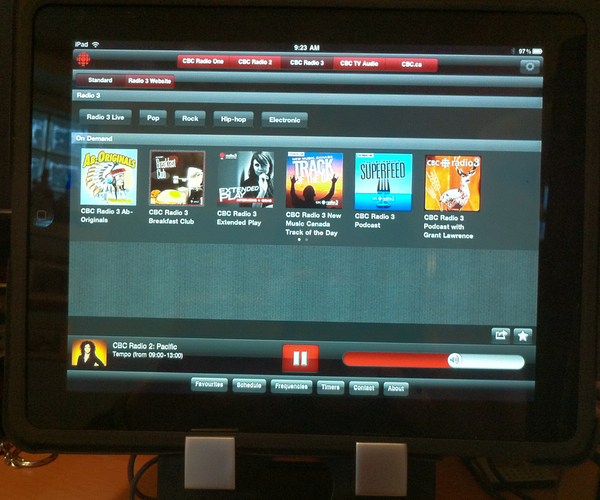 Be Your Own Radio Station iOS with the CBC Radio App from The Next Web on Vimeo. At this moment I’m listening to one of my favorite blues artists—Harry Manx—on my iPad, soon to be followed by some Sarah Harmer all streamed from Radio 3. Quality is great and the selection is pretty amazing. I know indie music isn’t everyone’s cup of tea, but to the CBC’s knowledge they are the only radio station in the world that is not only virtual, but also offers their entire collection up to be played whenever you wish. Oh and there shouldn’t be and problem for you outside of Canada listening to this either (unlike other in the cloud stations). So go enjoy some Canadian indie music.